Dr. Avila was born in Mexico and raised in Utah. He completed his undergraduate degree at Brigham Young University before earning his medical degree from the University of Iowa College of Medicine. He then completed residencies at both Albany Medical School and Iowa Methodist Medical Center. His professional associations include a fellowship with the American College of Surgeons and membership with the American Society for Metabolic and Bariatric Surgery, American Academy of Cosmetic Surgery, and the American Medical Association. 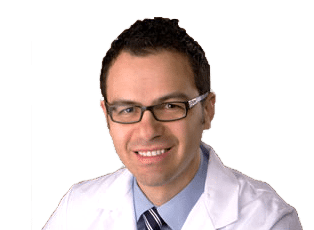 Dr. Avila loves what he does and provides a personalized approach to the needs of each patient, with each surgical procedure being tailored to meet the patient’s unique and individualized needs. Dr. Avila has five children and loves traveling, sports, and music. When he isn’t busy with a large family or helping patients meet their goals he’s helping kids in his church youth group or Boy Scouts. He is a member of the local Boy Scout committee and spends much of his free time helping these young men with their merit badge and Eagle Scout requirements. Having accomplished Eagle Scout himself he is a perfect leader to help.